In Your Facebook: Social Sites Are Everywhere As social networking gains in global popularity, each culture takes a different approach. 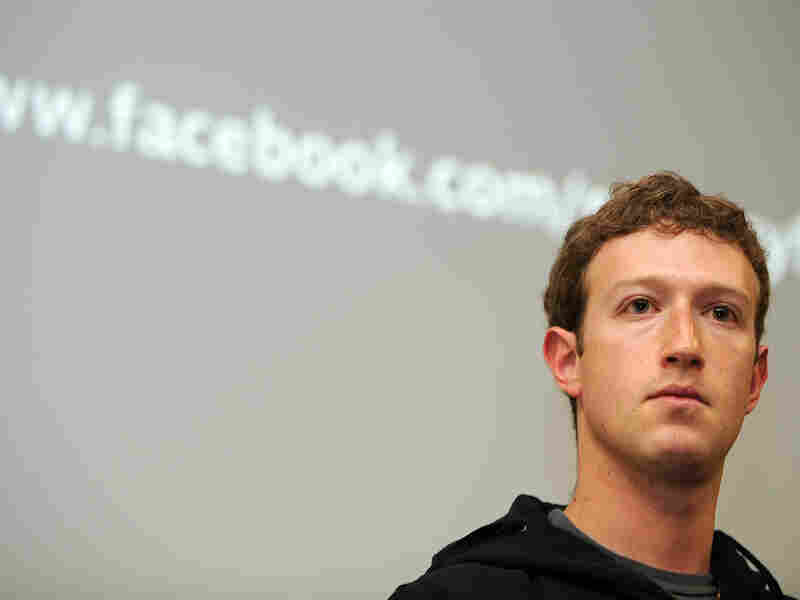 With upwards of 400 million members, Facebook dominates the social networking scene in the United States. Facebook likes this. It likes this so much, and people in turn like Facebook so much, it is spreading around the world faster than an oil plume. Started in 2004, Facebook had become the most popular social network in eight of the 10 top Internet markets in the world by the beginning of 2010, according to Vincenzo Cosenza. He keeps track of such things — using Alexa and Google Internet traffic reports — on Vincos Blog. In a 2009 story on Facebook and its founder, Mark Zuckerberg, Wired magazine outlined Zuckerberg's plans to colonize the Web. As Facebook continues its march toward global dominance, however, it is running into roadblocks here and there. Certain countries — including Facebook's home, the U.S. — are concerned about privacy issues. When Facebook began linking user information to outside websites in April, the European Union reacted with alarm and urged the Palo Alto, Calif.-based company to provide more privacy tools to its users (Facebook has since adjusted its privacy controls to make it easier for users to protect their information). Other countries, such as China and Iran, are concerned about Facebook's Western-cultural influence on their citizens. These two colliding climates provide a perfect hardiness zone on the Internet in which other countries' native social networking sites can flourish. Because Facebook is blocked by the Chinese government, says Silicon Valley Web strategist Jeremiah Owyang, the site has been rendered "irrelevant" in mainland China — giving alternatives room to flourish. In fact, "China hosts the largest Internet community online," he explains, "and they developed their own tools." Each culture adopts their own social network based on culture, infrastructure and technology. Four social networks are thriving within China's borders, according to Cooltuan marketing strategist Kai Lukoff on the VentureBeat website: RenRen, Kaixin001, Qzone, and 51.com. "There is no trustworthy data on users or revenues. Every social network in China claims to be the largest," Lukoff writes. "The short and sweet is this: Qzone has the most users, RenRen has the most active users, and Kaixin001 has the most highly active users. 51.com users are the most rural." Indigenous social networking sites in other countries continue to attract humongous numbers despite Facebook's aggressiveness. Some sites are for flirting, others for business networking, still others for tracking down old friends and classmates. A few sites are banned in more restrictive countries. Others have age restrictions. The edgy United Kingdom-based Faceparty, for instance, banned all members older than 36 in 2008. To join many of the sites, you must be 13 or older. A number of internationally oriented sites, such as LiveJournal, which is popular in Russia, and Orkut, the most popular social networking site in Brazil, are run by American companies. Badoo. Pop: 60 million. Most users live in: Europe. Headquarters: Cyprus. Tagline: "Worldwide socializing system." Cool Tool: "Rise Up" — for 1 euro you can catapult your profile to prominence. Hyves. Pop: 10 million. Most users live in: The Netherlands. Headquarters: Amsterdam. Tagline: "Always in touch with your friends." Cool Tool: Seamless interplay with MySpace. Mixi. Pop: 20 million. Most users live in: Japan. Headquarters: Tokyo. Tagline: "Connect with friends and acquaintances." Cool Tool: "Rekoo's Sunshine Ranch," a virtual farming application. Netlog. Pop: 64 million. Most users live in: Belgium, Italy, Austria, Switzerland, Romania and Turkey. Headquarters: Ghent, Belgium. Tagline: "Live it. Log it." Cool Tool: "Love Clock" lets you show everyone how much time you spend with your significant other. Nexopia. Pop: 1.2 million. Most users live in: Canada. Headquarters: Edmonton, Alberta. Tagline: "The online place for teens to connect and express themselves." Cool Tool: "The Spotlight" showcases random users in a prominent spot. Odnoklassniki. Pop: 45 million. Most users live in: Russia. Headquarters: Moscow. Tagline: "Search classmates; find friends." Cool Tool: "Tell a Story" encourages users to say how the website has changed their lives. Skyrock. Pop: 22 million. Most users live in: France. Headquarters: Paris. Tagline: "Free People Network." Cool Tool: Top 100 — personal blogs are ranked by number of monthly visitors. Sonico. Pop: 17 million. Most users live in: Latin America. Headquarters: Buenos Aires. Tagline: "Organize Your Life Online." Cool Tool: "Burger Island," a time management social game. Vkontakte. Pop: 75 million. Most users live in: Russia. Headquarters: Moscow. Tagline: "An all-purpose tool for finding friends, both old and new." Cool Tool: Vkontake is available in more than 60 languages. Like Vkontakte, many social networking sites -– such as the 25 million-strong Viadeo Global Social Networking and Campus Networking — are multilingual. Facebook is available in more than 70 languages. "Facebook has a number of international offices, and if they're interested in being truly global, they'll need to understand the cultural nuances that they'll face in other countries," says Scott Monty, head of social media for Ford Motor Co. and overseer of The Social Media Marketing Blog. It's absolutely essential, he adds, "that Facebook — or any other company doing business globally — does not simply try to take an American approach to its efforts. It absolutely needs to be culturally sensitive and consistent with the norms of the local markets." Despite the fact that the Internet is global, people's desires to interact may not be. "Each culture adopts their own social network based on culture, infrastructure and technology," says Owyang, the Silicon Valley strategist. "What's relevant in New York City won't matter in other parts of the world." And, presumably, what's popular in other countries around the globe will not necessarily play in Peoria.